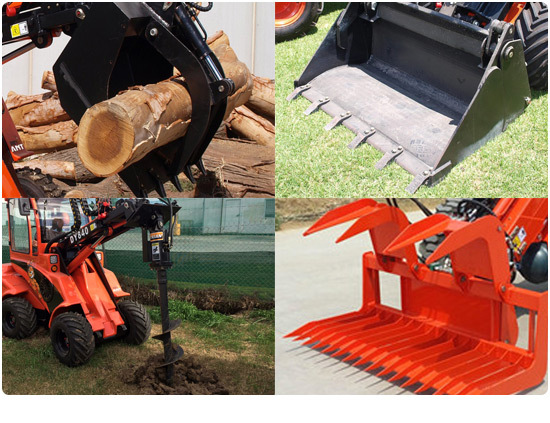 Our Angry Ant articulated mini loaders have been developed by us in conjunction with an overseas manufacturer to meet the needs of the Australian market perfectly. 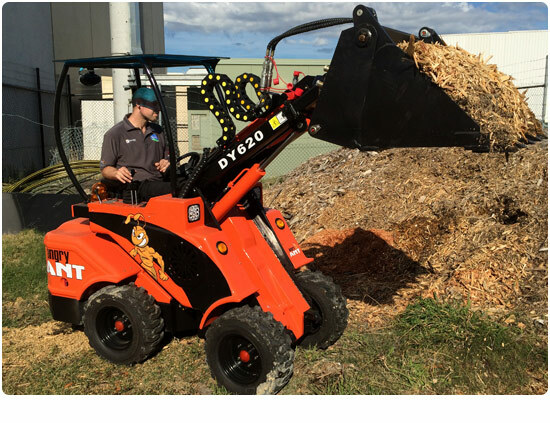 We currently have three loaders in our Angry Ant range, all powered by reliable diesel engines in 22 HP to 50 HP. These loaders pack a powerful punch, plus they have the added manoeuvrability of front articulation and hydrostatic 4WD. They’re powerful enough to handle the heaviest of loads and compact enough to work in tight areas. With a wide range of attachments these mini loaders are an extremely versatile unit able to make light work of many tasks. Our Angry Ant Mini Loaders are super strong, compact and extremely versatile. An Angry Ant Mini Loader is the best employee you’ll ever have. They never take any sick days, they won’t talk back to you, they’re never late and they’ll get the job done (with plenty of attitude!). 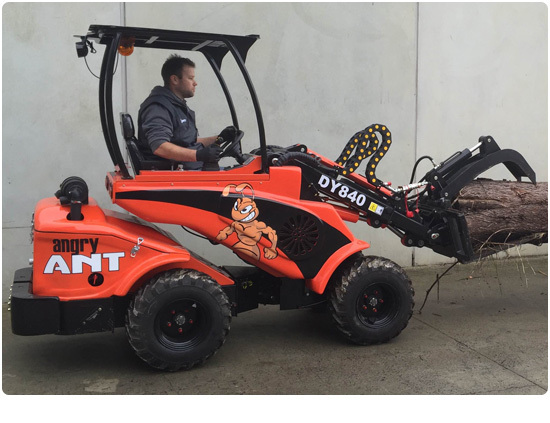 Quality engineered and backed by an experienced Australian service and parts network, you can rest assured your Angry Ant mini loader will give you many years of loyal service. Don’t hesitate to contact us on 1300 072 926 for any questions you may have. Our Angry Ant Mini Loaders can be fitted with over 40 different types of attachments • Buckets • Augers • The list goes on.